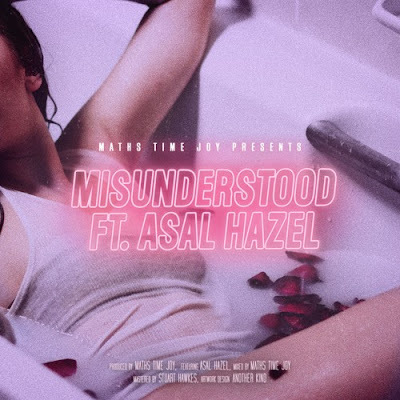 Grammy nominated British producer & songwriter Maths Time Joy has just released his brand new single, Misunderstood, featuring upcoming neo-soul songstress Asal Hazel  a Jewish-raised, Persian-American Los Angeles native whos been making waves online. The sultry, R&B flecked Misunderstood, out now on Platoon, is the latest track off his Sunset Motel EP. Stream it below! Misunderstood follows on from Hype Machine top 5 record Only You feat. JMR, Count On Me featuring Toulouse and Zaia, Going Nowhere featuring Flores and 'Cut Them Loose' featuring Ayelle which received coveted placements in Spotify US New Music Friday and Apple Music's Best Of the Week and A-List: Electronic playlists.